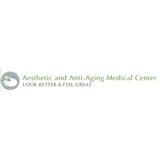 Comprehensive Medical Center (Deerfield Beach) - Book Appointment Online! Specializing in State-of-the-Art one stop Comprehensive Medical Center that encompasses Family Medicine,Urgent Care and Spine & Joint Medicine under one roof. Strong one on one communication with patients is paramount in our practice.We strive to use the least invasive or harmful means of diagnosis and treatment.We believe in using the least amount of pharmaceutical agents to accomplish the best results.Over the years we succeeded in achieving excellent outcomes by integrating traditional medicine with no or reduced medication together with anti aging and functional medicine that focus on proper nutrition,natural supplements and hormonal balancing.